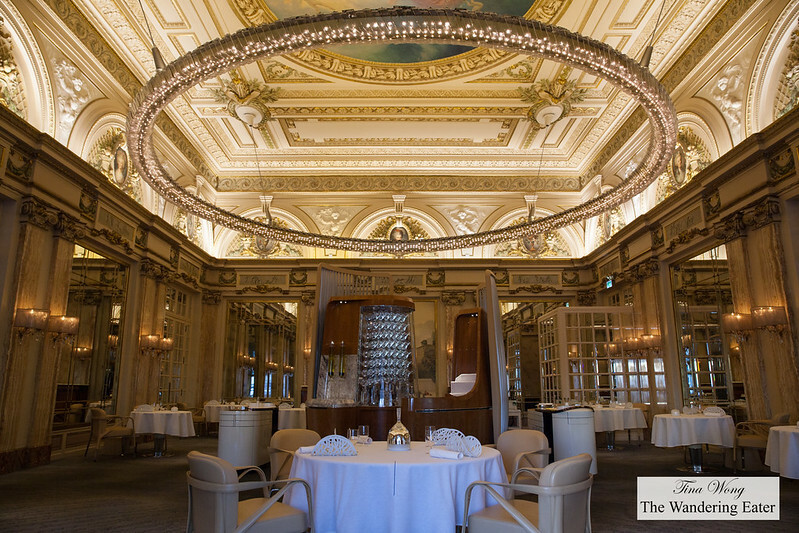 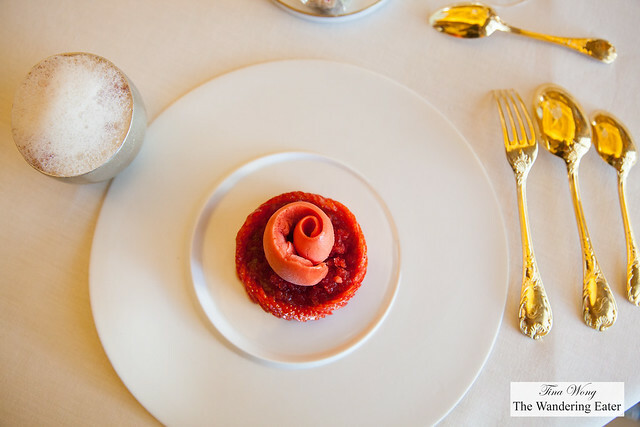 If there were any breathtaking desserts to be had in Monte Carlo, do try to make a reservation to the legendary 3* Michelin restaurant Le Louis XV by Alain Ducasse in Hôtel de Paris. 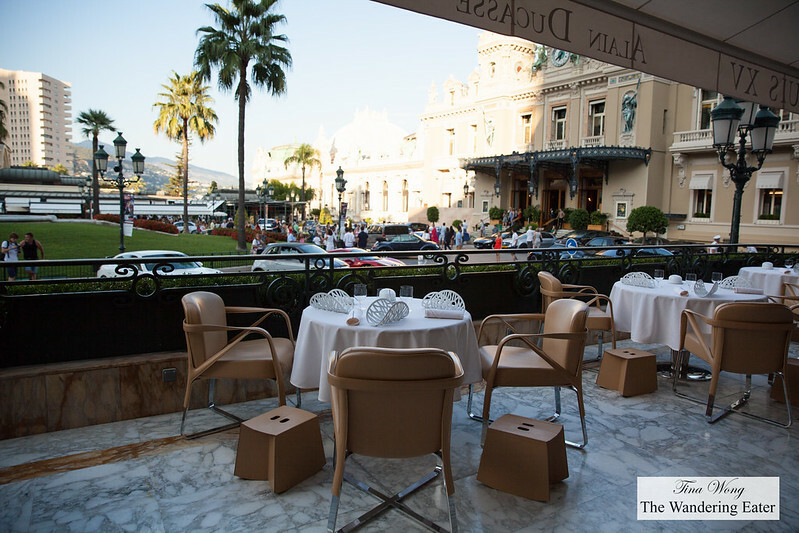 My friend and I would have had dinner there but we had our schedule full for our stay in Monte Carlo. 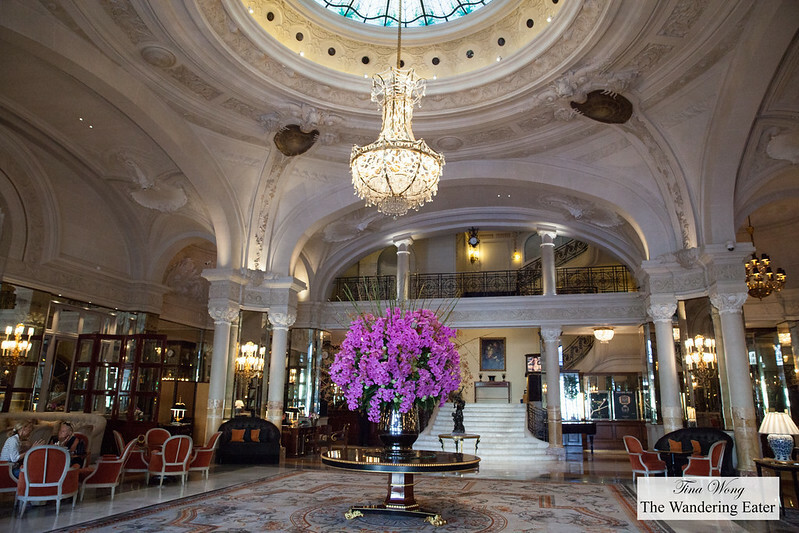 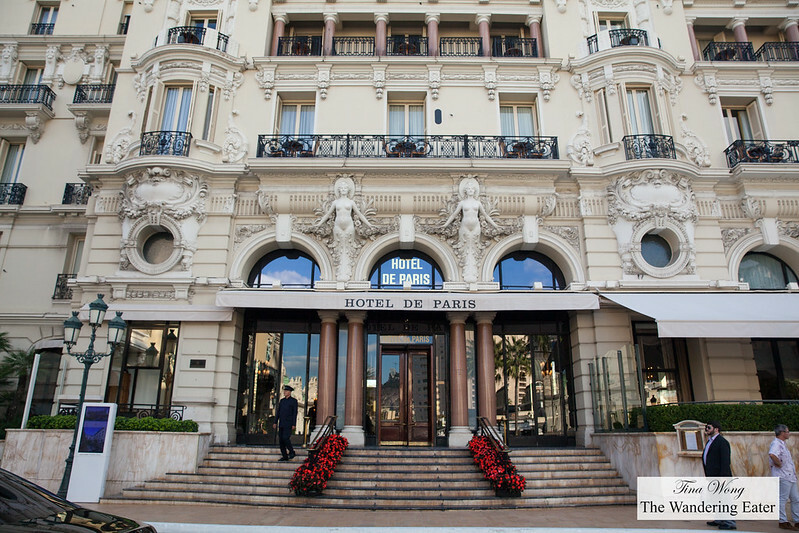 The Hôtel de Paris has its share of attraction from the rare, glamorous and stratospherically expensive cars lined up the hotel’s front entrance and the restaurant does have a view of that from the terrace. 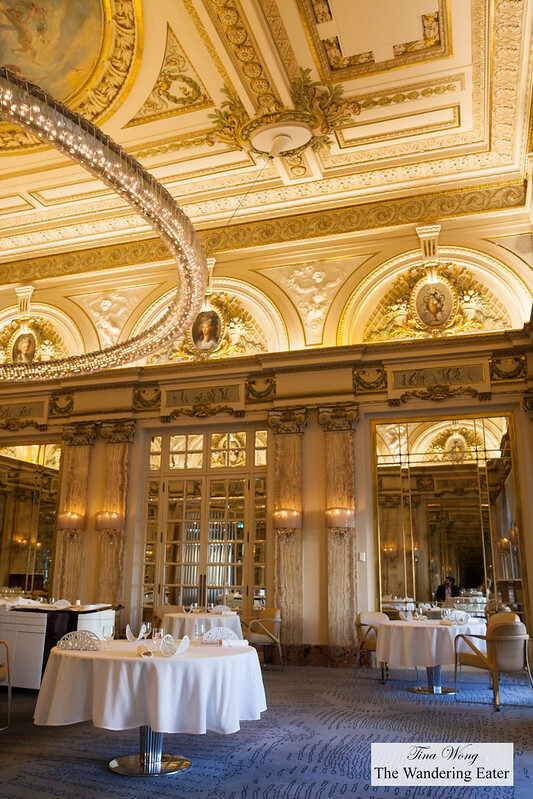 When you enter throught the heavy door to the dining room, it’s a magnificent French Belle Epoque room decorated with marble, gold leaf and chandeliers. Soft, amber-toned rays complement the new centerpiece of the room: a suspended circular chandelier composed of 800 pieces of handmade Murano glass custom-designed by Aristide Najean and inspired by the ones in the Hagia Sofia in Istanbul. 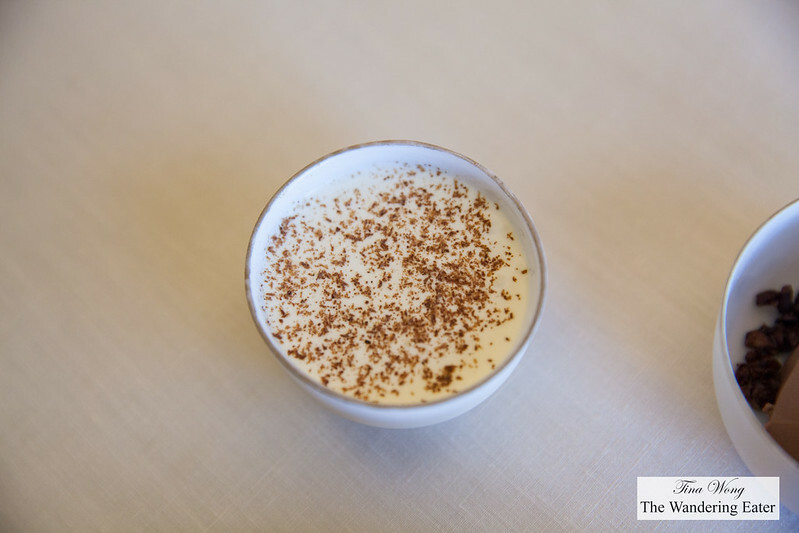 The desserts are made by the talented Executive Pastry Chef Sandro Micheli. 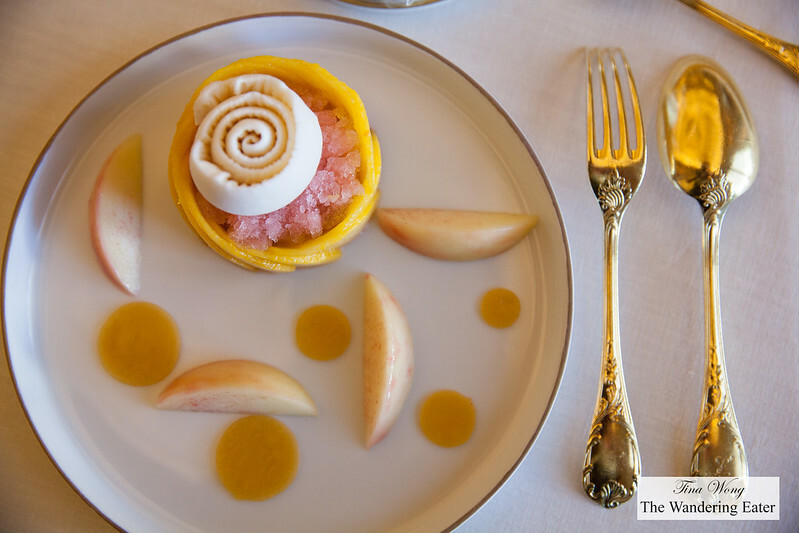 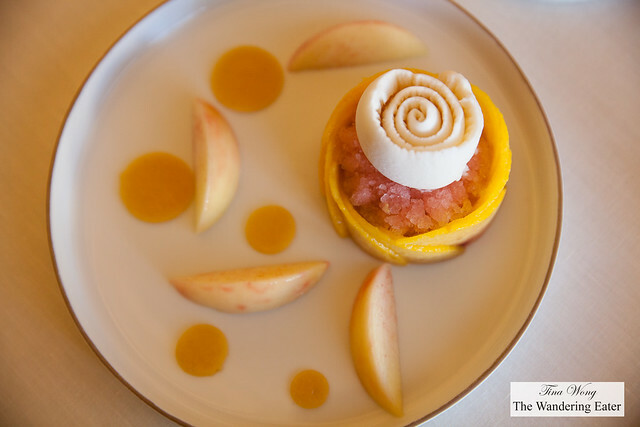 Previously he worked at Alain Ducasse’s defunct Adour restaurant and I remembered his delicious and beautiful fruit-forward desserts back in the day when he was in New York City (we’re talking circa 2008). The next dessert, Strawberries from Carros, delicate ewe’s milk cheese and vanilla was equally spectacular as well. 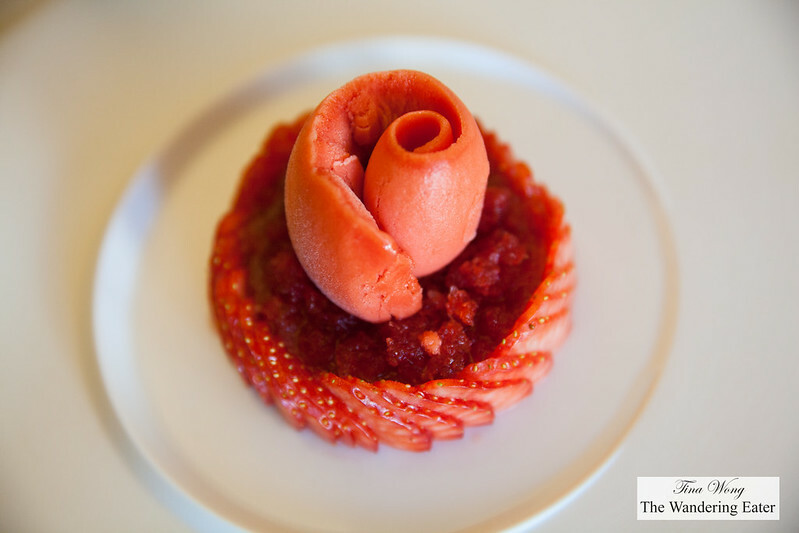 Like the Opaline peach dessert, it’s done in a similar fashion for these perfect strawberries. 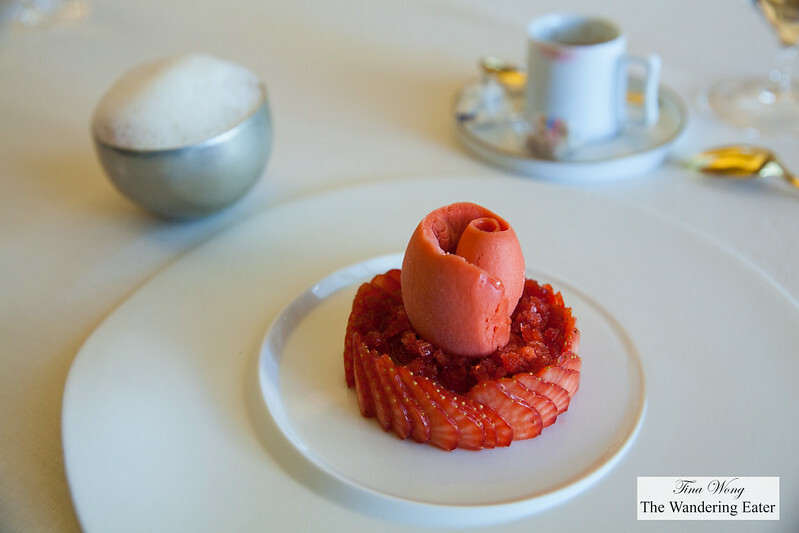 Super sweet and ripe strawberries amplified and balanced the acidity from the strawberry granita and creamy sorbet. 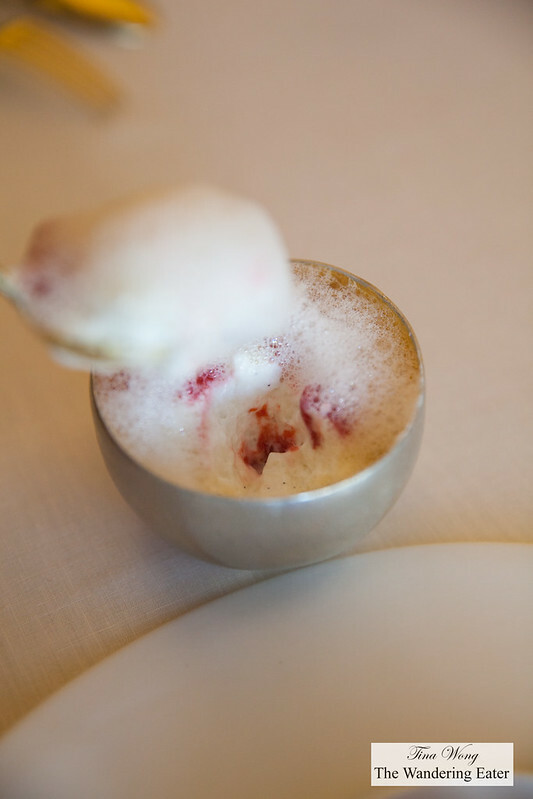 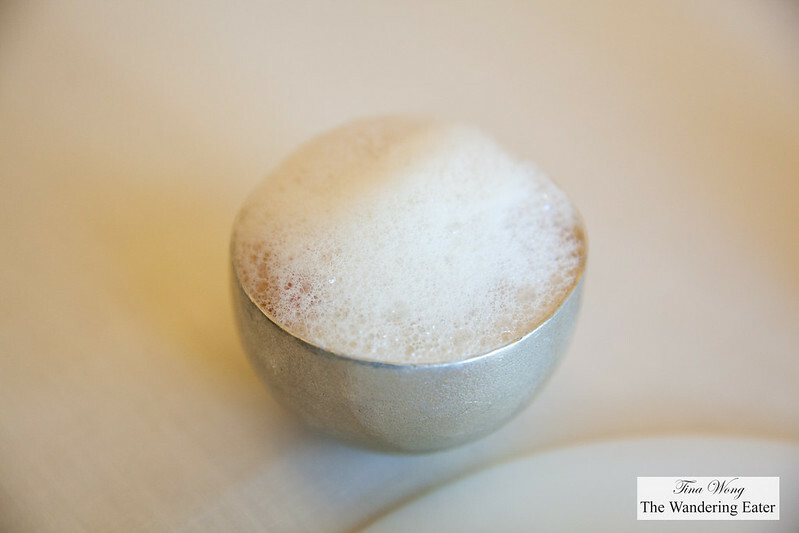 The small hemisphere bowl that contained slices of these sublime strawberries (it had nuances of floral notes) and the creamy, vanilla speckled sheep’s milk cheese foam that felt like eating a cloud dotted with juicy strawberries. 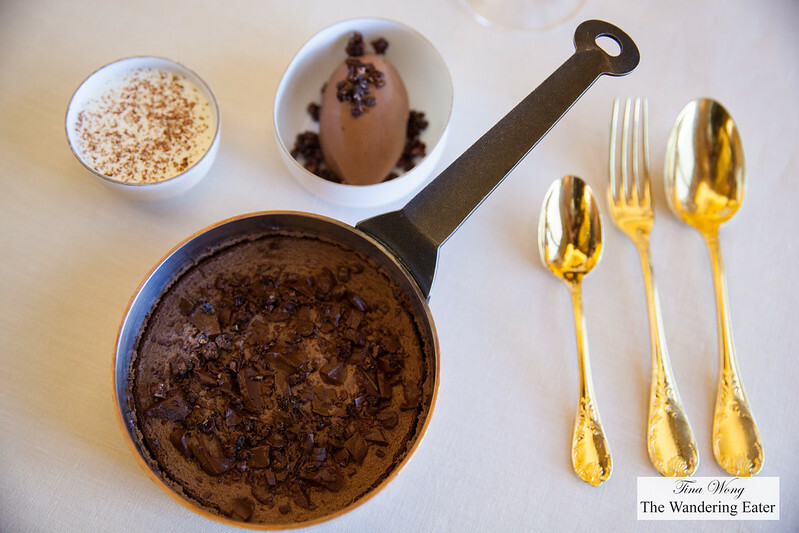 For the finale, it focused on the excellent chocolate products from Alain Ducasse’s own chocolate shop, Le Chocolat Alain Ducasse. 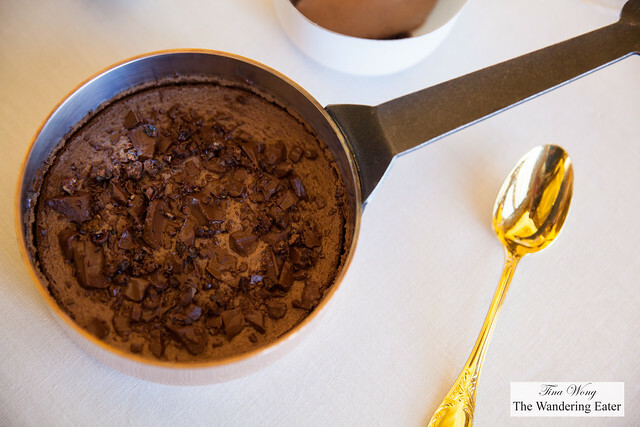 We had a small copper pot filled with a very warm, soft chocolate cake topped with chopped bittersweet chocolate, while it is not visally stunning as the previous two desserts but it still having dazzlingly rich chocolate flavor. The bowl of whipped cream with a dusting of cocoa was a smart side to top your cake to lighten up the dense cake (and you may add as little or as much as you’d like). 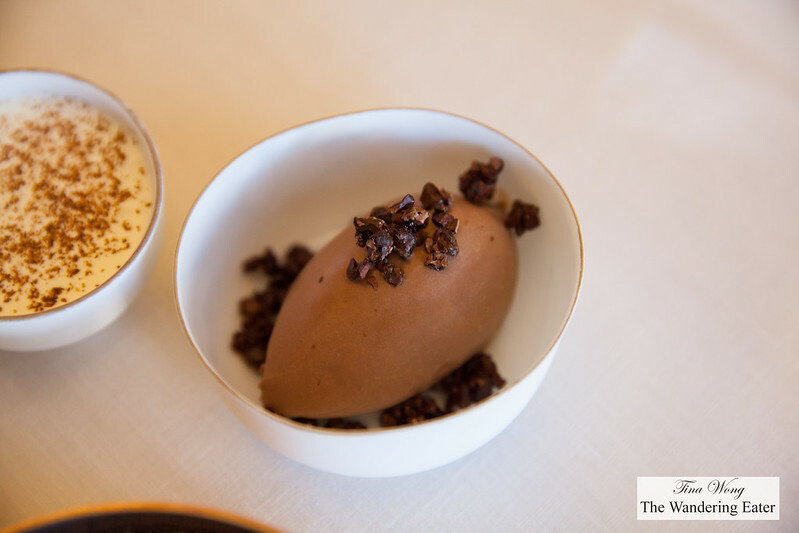 The scoop of intense, chocolate ice cream topped with caramelized cocoa nibs was great by itself and played the idea of hot and cold temperatures in dessert. 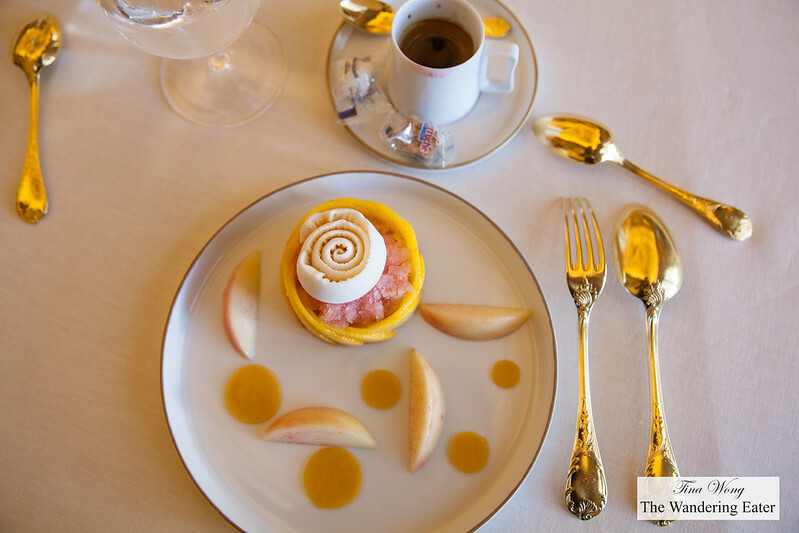 This particular dessert can easily be shared with another person as the cake felt quite large for one. The desserts reflect the Mediterranean style cuisine where the ingredients takes center stage but done in Alain Ducasse’s luxurious style. The service was excellent and discreetly attentive. 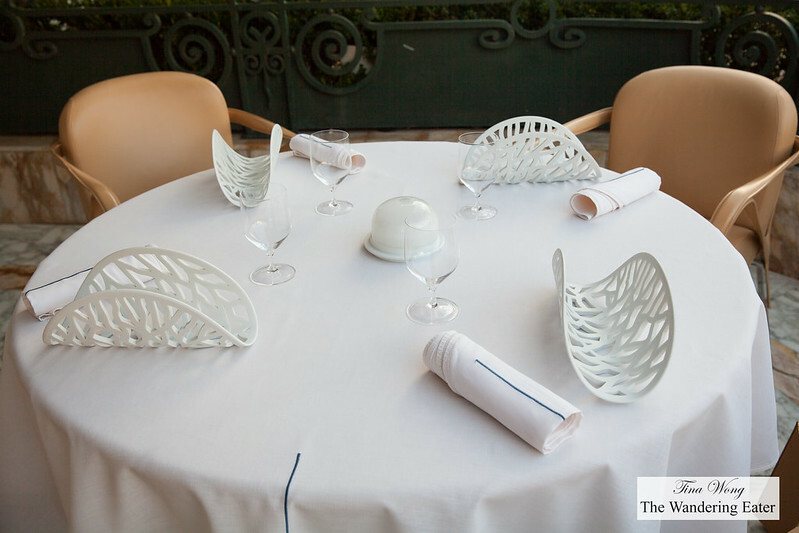 I wished there was time for a complete meal here but of course, there is next time when I come back to Monaco.